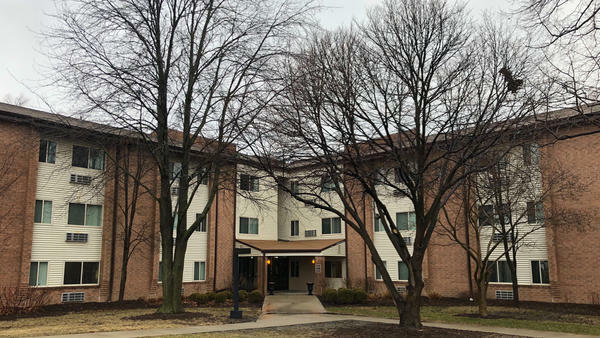 In Illinois, there are only 35 affordable housing units for every 100 families considered extremely low-income, according to Housing Action Illinois, a housing advocacy organization. Housing Choice Voucher, also known as Section 8, is a federal program designed to make market-rate apartments accessible to people who wouldn’t be able to afford it otherwise. The voucher program covers part of the rent for around 97,000 families in Illinois. There are essentially two big challenges with the program, according to supporters: not enough vouchers and not enough landlords willing to accept the vouchers. Local housing authorities use federal money and guidelines to administer the program around Illinois. That means Congress would have to increase funding to increase the number of vouchers. Many housing authorities in Illinois aren’t accepting new applications for Section 8 housing because they don’t have enough money to pay for them. A 2015 study from Housing Action Illinois showed 51 of 71 authorities closed their waitlist for the program, meaning people in those communities couldn’t apply for Section 8. For example, the Springfield Housing Authority offers around 2,000 vouchers. It closed its waitlist last year, when the number of families on the list reached 2,000. Local housing authority staff vet applications, verifying the applicant’s income and who will live in the household. To qualify, their total pay must fall below half of the average income in the area. The tenants are responsible for finding a landlord that will accept vouchers, and then the housing authority sets up rent payments with landlords. The vouchers cover a portion of monthly rent, up to what the federal government determines to be a fair market rate for the area. The tenant pays their portion, generally 30 percent of their monthly income, and the government pays the rest up to the fair market rent. Landlords can charge more than that amount, but tenants are responsible for paying it, as long as their total portion isn’t more than 40 percent of their income. So, for example, in Springfield, fair market rent is $846 for a two-bedroom apartment. If a landlord who accepts vouchers wants to charge $1,000, the tenant would have pay their portion, 30 percent of their monthly pay, plus $154 difference. The local housing authority also inspects the apartments or houses year, making sure they are clean and safe. Tenants must also recertify their vouchers every year. The inspection and the fact that the government sets the maximum rent it will cover are two reasons landlords are sometimes hesitant to participate in the program. Advocates say there is also an unfair stigma that comes with a family using the voucher — that they may not be a reliable renter. Naperville, Urbana and Cook County, which includes Chicago, all have rules that say landlords can’t discriminate against tenants using vouchers. So, the “No Section 8” in Craigslist apartment ads would be illegal there, though it does still happen. The rules, often called “source of income protection laws,” are also in effect in eleven states. A study from the Center on Budget and Policy Priorities found that in cities where there are these rules, landlords are less likely to refuse to accept vouchers. He pointed out that when the Department of Housing and Urban Development wanted to reduce the number of veterans experiencing homelessness, it increased funding for Section 8 vouchers available to them. “This suggest this program is very effective at reducing homeless, if it were properly funded,” he said. There is another type of Section 8 housing called project-based vouchers. They cover part of the rent for specific apartment units. They’re usually for new construction buildings, and the vouchers go directly to the developer. They then rent the apartments at a lower rate to tenants who meet income qualifications. Around 61,000 families in Illinois benefit from these vouchers, according to data from the Department of Housing and Urban Development.